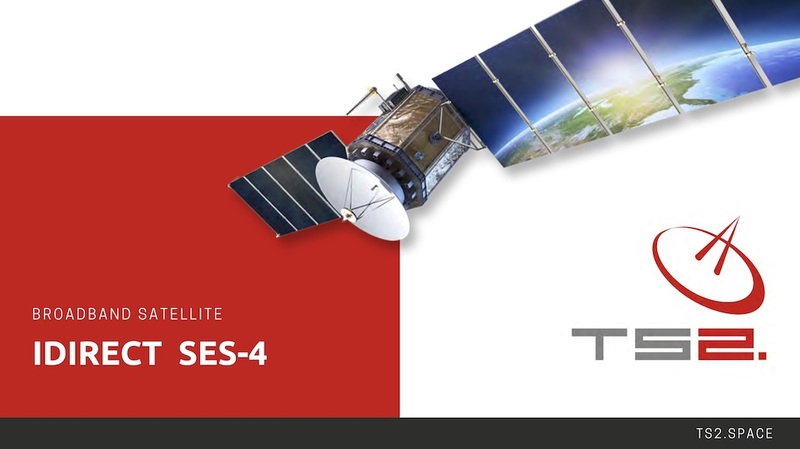 TS2 proudly presents new C-Band services offer on SES-4 satellite carrier. SES-4 EH-EH @ 22°W (338°E) replaced NSS-7 to provide enhanced coverage over the Americas, Africa and Europe. It is ideal for video distribution, government, VSAT and maritime services. SES-4 was designed to expands and enhances satellite data traffic over Americas, Europe, Africa, and the Middle East. It is most powerful satellite from SES series and is located at one of the most highly demanded orbital locations for transatlantic traffic. SES-4 is a 20-kilowatt satellite with 52 C-band and 72 Ku-band transponders. It has C-band beams serving the eastern hemisphere of Europe and Africa, full coverage of the Americas, and a global beam to support mobile and maritime customers. Four high-power, regional Ku-band beams will provide service to Europe, the Middle East, West Africa, North America, and South America with extensive channel switching capability between C- and Ku-band transponders for enhanced connectivity. This new satellite is based on the flight-proven Space Systems/Loral 1300 platform and designed to deliver services for 15 years or more.